12 Stones is a beautiful and evocative film by acclaimed filmmaker Sandy Smolan. 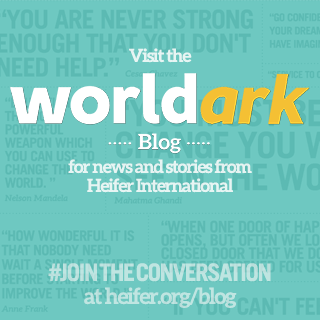 It documents Heifer International’s work with illiterate women in Nepal and their journey out of poverty to self-reliance. Deeply moving, with breathtaking cinematography by Jacek Laskus and narrated by Diane Lane, 12 Stones captures the remarkable transformation these women have undergone, and illuminates Heifer’s mission to work with communities to end hunger and poverty while caring for the Earth.